Cy - Last Saturday saw the second running of the awesome Howard Street Dual. 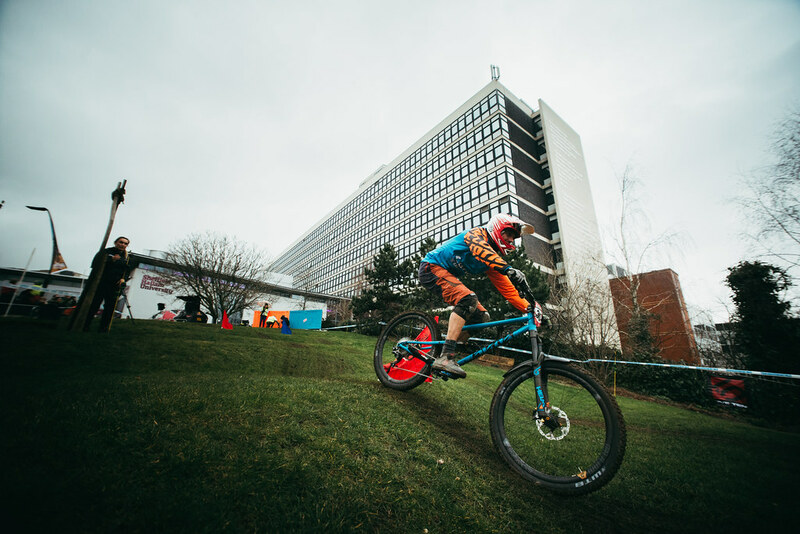 This is where Mates Races go legit, crawl out of the woods and onto an urban track right in the middle of Sheffield City! Bringing biking to the masses. This year was next level, with a stacked field, TV cameras for both the massive big screen and the web Live Feed of the race, huge sound system and a later start for the finals under floodlights. I raced last year and had loads of fun, but with the Race Team and the Development Squad all in town for this years' event, plus mates race regulars Baybutt and Mechanic Will wanting a shot too, I decided to man the stand and watch the action unfold. And what action there was!! With all the rain in the run up, the forecast wasn't brilliant, but luckily stayed mostly dry on the day. That didn't stop the grass sections and polished concrete being slick and slippery as hell! From our vantage point at the lower end of the track, the big grass sweeper was catching everyone out, with no one - not even Peaty - making it look easy. It was an awesome event and I had a great time watching all the Cotic riders in their brand new team tops making us look good! But I didn't take part, so I'll hand you over to the others for their take. If the weekend wasn't shaping up to be hectic enough, I made life more difficult for myself in the run-up by making 4 huge leaderboards, hosting the development squad at my house and having both my car and motorbike off the road with no MOT's! Somehow, with literally an 11'th hour effort on the Friday night, everything got done and we could focus on a weekend of shreds. We hit Greno on Saturday morning, Devonshire green skateparkpark on the way to town, the Howard St dual race and then some street jibs on the ride home. Sundays itinerary was a peek at the legendary Bolehills, followed by visiting Sam at Lady Cannings (which is now closed for essential winter work) and then a solid pedal round Wharny with the Fifes, Will, Kelly Jayne, Hanna Jonsson, Dave Camus and Jake Monk. Even listing it there doesn't even scratch the surface of how much fun was had. Wes & Will are a huge credit to the team and everyone did so well at dual. Highlights in no particular order were having my first proper go on the new longshot Rocket, me & Sam just making incomprehensible noises about how good it is. Qualifying for the main race at Howard St and then lining up next to Ratboy on the gate. Blagging some much needed warmth, beer & food at the SHAFF industry hang-out Saturday night, dancing at the illegal rave at Lady Cannings at 11am, giving in to peer pressure and clearing the 50:01 step-up deep in Wharny woods and celebrating with a huge McDonalds after. Weekends like this make it all worthwhile, it's just a bonus then that I love the rest of the job just as much! Can't wait for the next one. To be completely honest, words can't actually describe this weekend as it was a constant flow of amazing events! Well, being my first time in Sheffield, it was already a great feeling. But to be riding bikes all weekend especially with incredible people around me made it that whole lot more enjoyable. Everyone was so high stoked the entire time and there was never a dull moment. Even slipping out on the last corner against Peaty didn't even frustrate me, just knowing I was that close to him made me realise my level of riding and what I am capable of, so standing up and waving off the crowd was exactly what had to happen! I will definitely have lifetime memories coming away from this weekend and I can't thank everyone at Cotic enough; Rich for providing me with a roof over my head and company from Otto, looking after me and making sure I was always smiling. Wes for being the best long distance friend I could of asked for, Nick for putting on such an INSANE event in which I am for sure hoping to come too next time, Chay & Swinny for tips and just being great people to be around, and Cy for being so supportive and stoked the entire evening! What a family of great people, couldn't ask for anything more. 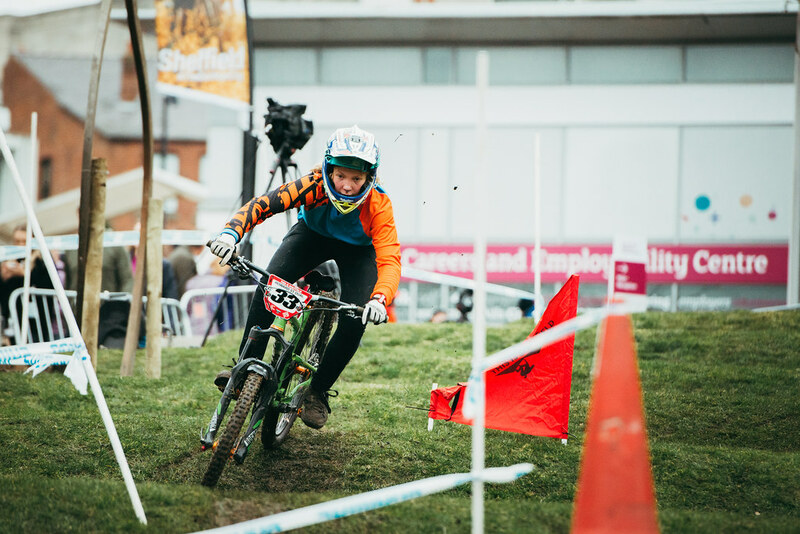 I will never forget the moment I was pushing back up after my first run with Steve Peat, walking past the stands and Cy joined eyes with me and said "Dude, you're racing Steve Peat!!" That made it real. What a fascinating experience! 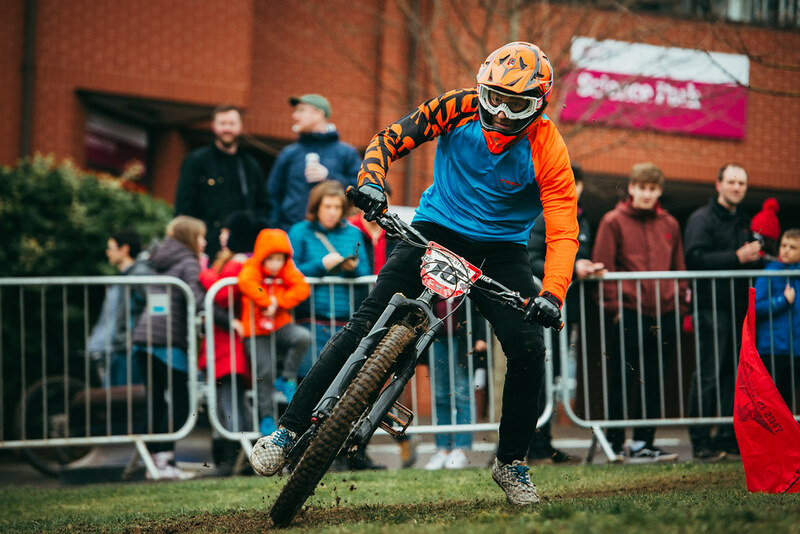 I missed last years race because it clashed with an enduro, so to be able to to ride and race through the middle of Sheffield, with a stacked field of talented riders and a crowed mixed up of regular bike followers, to folk who stopped to watch as they were passing through, to football fans chanting their teams songs. Dual, to me, has got to be the funnest form of competing. A 20ish second track, 2 lanes, and a load of mates old and new, the excitement out the gate is top drawer. 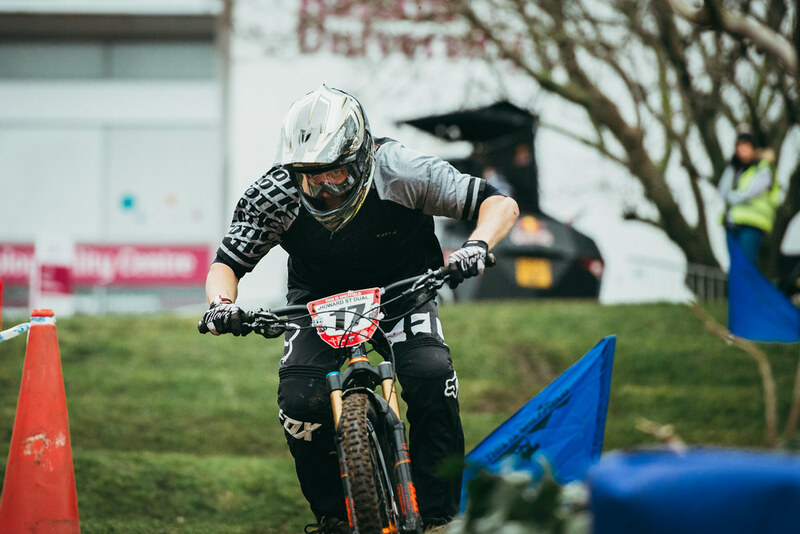 It was great to see the family representing Cotic in such a large way, and to be able to compete with close friends that I don't get to ride with much anymore is as exciting as it is to race one of the greatest to ever grace a bike. Sheffield is a damn good place to be around. Cheers to all involved for making this event happen, Nick Hamilton, mayor Dallow (and anyone I've missed). What a spectacle. Massive well done to the gang that organised it all. 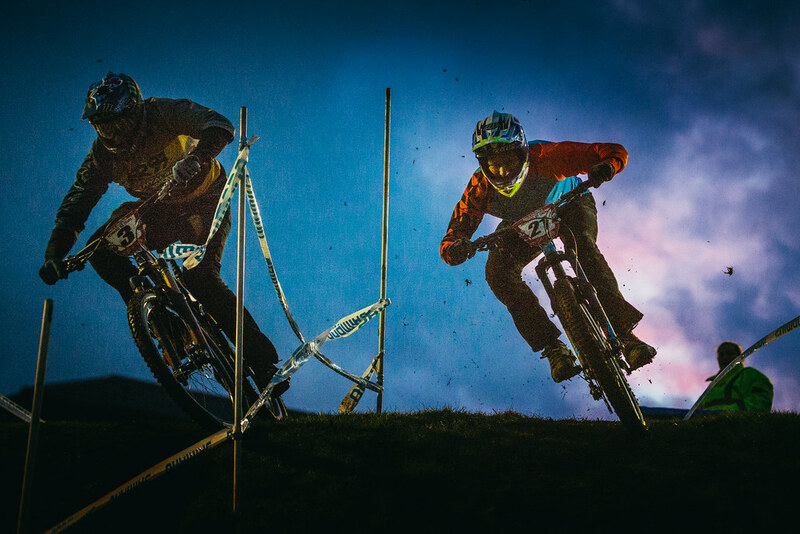 To bring mountain biking to the masses is not only brilliant for the sport but for the city that hosted it. To interact with folk on a full on Saturday night out whilst I'm sat waiting to race in full kit is something that wont be forgotten soon. The field was packed with talent. It's the first race of the year so I should of been a little nervy....Far from it! Its a honour to be part if it. Going be honest getting knocked out early on wasn't disappointing as it meant I got to watch. Not only was the the atmosphere brilliant but getting to watch some world class riding made it a event that needs to happen again. Aah what a weekend! Arrived in Sheffield at about 7pm on Friday. Stoke was high for a weekend of racing/riding, but first me and Will had been assigned to helping Baybutt build the leaderboards for the dual, 4 hours later with 4 boards done and 400 or so hooks screwed in we rolled back to Baybutt's with very sore fingers! Saturday morning we headed down to Grenoside woods for a couple of pre-dual laps to build the stoke up (which was already unsustainably high). Mad inside lines, manny landers and Euro tables took place and fun was definitely had by all. We returned to Baybutt's house for lunch and set out riding down to Howard St through midday traffic. We signed on and had a quick run up and down the track to check out the features before practice. Practice started and was quickly established that the course was more difficult than previously thought. Stairs from the start gate posed a bit of an issue for me as I was on flat pedals and despite having recently putting a chain guard on I still wasn't 100% confident that my chain was going to stay on. Further down the track was "carnage corner" an off camber sweeping left turn on wet grass which was proving to be an issue for some riders. Thankfully my shiny new WTB Vigilante tyres, there was no problem with grip on this corner - cheers WTB!!! Well qualifying rolled round quickly and I was worried I wouldn't qualify, due to the pretty stacked field of pros and local pinners. Thankfully something clicked in my qualifying run which sat me very midfield along with some big names. At this point, stoke was peaking. However, sadly I was drawn against James Hughes in my first round and was humbled very quickly by him and didn't progress any further. 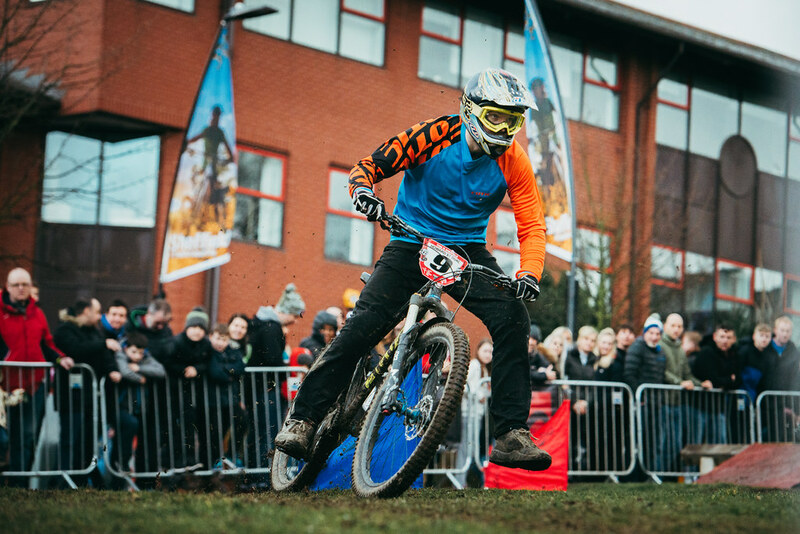 Thankfully that meant I could watch bossman Easey who being the wizard he is had progressed through to the next round where he would race the godfather of Sheffield MTB, Steve Peat!!!! I made my way up to the start of the course to cheer him on! He made a strong start but sadly crashed out on his second run! Never mind though, he was still ecstatic that he got to race against one of the worlds legends of racing. We, along with Kelly and Aiken who had also been knocked out, set up camp at the bottom of the course on carnage corner to heckle the semi-finalists and finalists. Sunday morning came round quickly. We had a quick lap of Lady Cannings before heading to Wharncliffe for shredz with Camus. We said our goodbyes and made our way back to Guisborough. It was an awesome weekend and I can't wait to get back down to shred in the future!!!! It was SUCH an ace weekend. 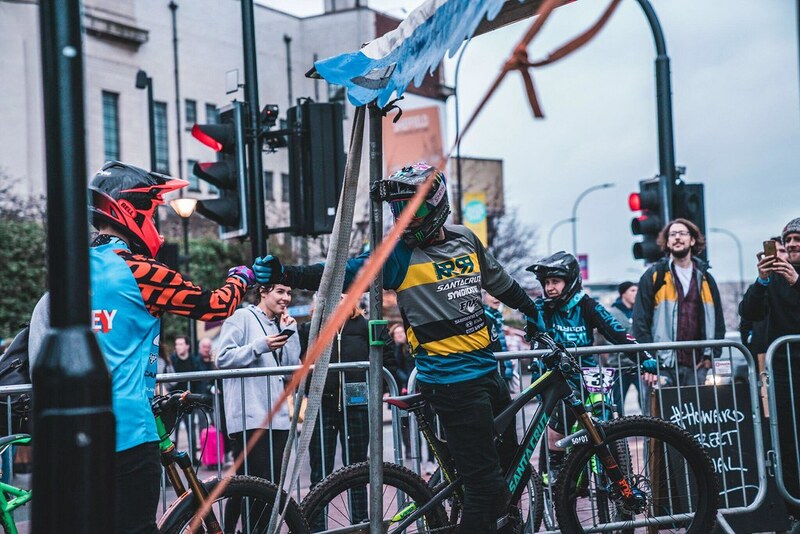 If you can, next year get the Sheffield Outdoor Weekender in your dairy, come up and cheer the dual, have a grand night out, then hit the trails on the Sunday. Mint! 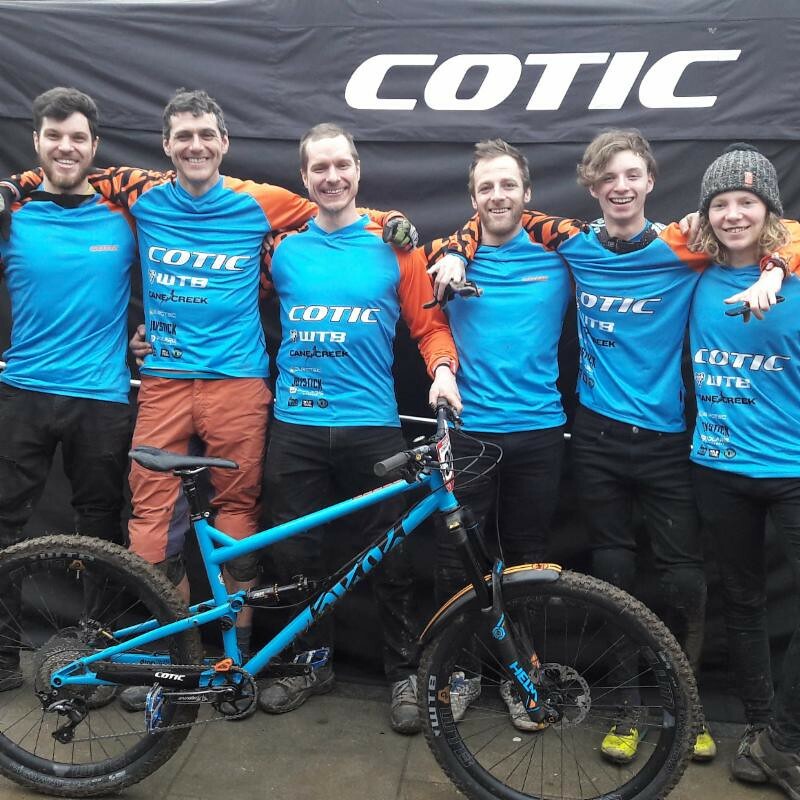 I want to say a big thank you to all this lot, plus Mechanic Will, Kelly-Jayne and A Line Gaz for representing Cotic fantastically and making us all look good. As Swinny said when I posted this photo below, "FAM". Too right bro.